The Easy Peasy Baby Hat is so easy that I was able to knit it up in just a few hours. Truth be known, this hat was my answer to make my very very bright orange Building Blocks Reversible Baby Blanket look a bit more girly. It may be a stretch, but at least an attempt. Hummmm. These were so quick and easy to knit, that I made two. The hat can be made either plain or fancy. Its perfect for embellishing with knit or crochet flowers or butterflies, pom-poms, patches, buttons..... let your imagination be your guide. These were knit out of Cascade 220 Superwash Sport and they use less than one hank (including adornments). The pattern for the hat only is available on www.ravelry.com. 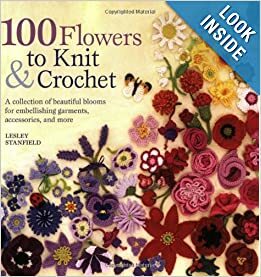 The flower patterns can be found in "100 Flowers to Knit or Crochet" by Lesley Stanfield.